Firstly, I'd like to say thank you to all the warm welcomes I received from the wonderful Wednesday club. You all seem lovely and your blogs look so much more prettier than mine. I promise I will make my blog more beautiful soon, I've just seen blogger has some new themes. Lets begin my second Wonderful Wednesday post. Family - I had a lovely family meal at ASK (Italian chain restaurant) on thursday evening. It was busy and there were long waits due to them being short staffed, but this didn't matter. Good food, drink and company made the evening wonderful. Spring - Well up until today I was going to say I'm enjoying the spring weather. Today (Tuesday) we had sun, cloud, rain, hail, thunder a bit of everything kind of day. Shall I wear my coat or not kind of day. I have been enjoying the longer days though. More light is good for me. 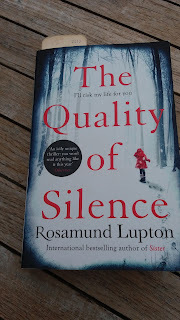 This book has got its icy claws in me. Its a thriller but not the kind where every one gets shot, I'll leave those books to my husband. 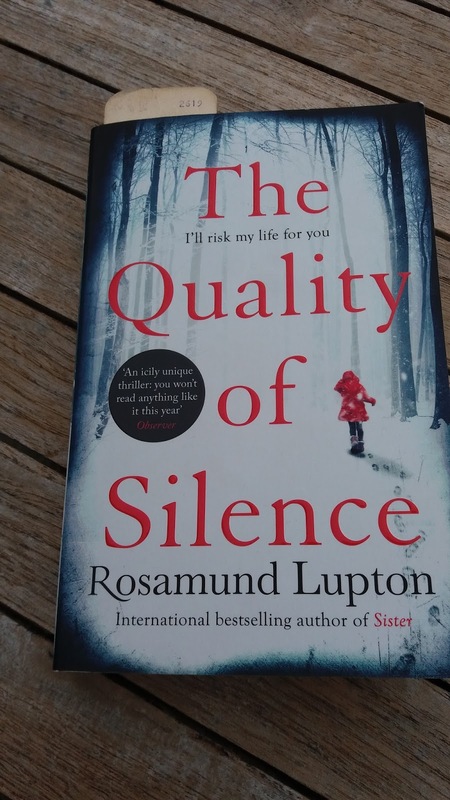 The main characters Yasmin and her deaf daughter Ruby are on a search for Ruby's father in Alaska. Ruby uses sign language and technology to communicate and it's interesting seeing the world through her eyes. Yasmin is a strong female character who will go to extreme lengths to find her husband. 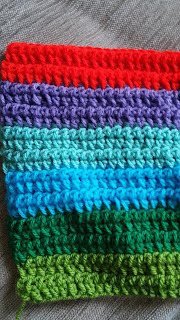 Craft - This week I've been crocheting a rainbow blanket. I have so many balls of wool I have banned myself from buying any more for a while. 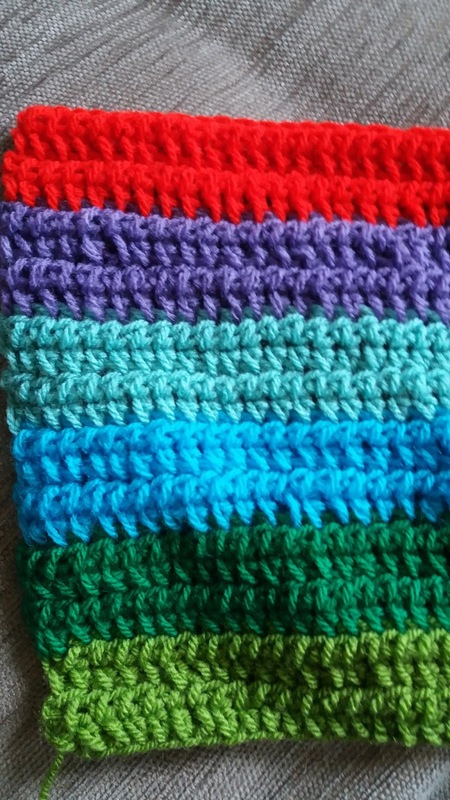 I decided a rainbow blanket would be perfect for using up wool. So that was my week. Don't forget to check out other #WonderfulWednesday blogs.